I met my college friends recently and we finally sat in a café for much needed caffeine infusion because what we thought as a retail therapy turned into a retail fatigue. The café looked like a snug retreat with four of us flipping the pages of the old college diaries and reminding ourselves that how we have transformed over the years. Physically a lot but mentally we are still the crazy bunch who get excited with shopping expo and art exhibitions, meandering our way like those socialite aunties in Feb afternoons. Our conversation went on for hours and it finally rested on a question that strongly demanded me to write an entire page about it. “What is the first gift you gave yourself from your first pay- check, from your first job? Our coffee and cake arrived and so did the answers. Each bringing on their own flavor and reminiscing the memories attached to it. My eyes rested on my plain Jane gold ring. What is it about this ring that makes it extra special? Is it because that my mother insisted that I purchase something for myself and I ended up purchasing this? Is it because I loved the way it jelled with my ring finger giving it a prestigious demeanour? Nothing I could decipher. Nothing I could make out. I thought for a while and all of a sudden I blurted out with conviction. I don’t know from where the words made its way but all I could utter was “I am forever engaged to myself”. It took a moment or two for the words to crystallize. My friends looked stricken, wore an expression of curiosity. 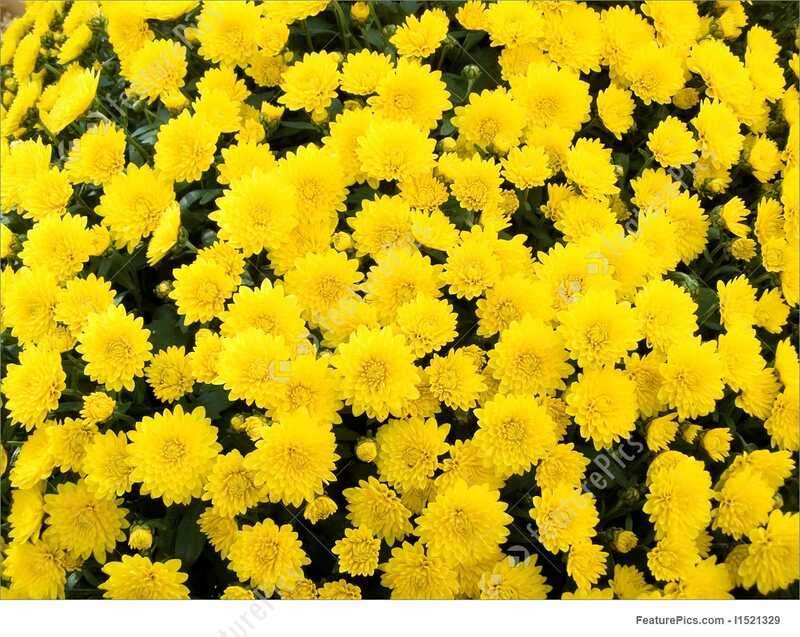 I raised my right hand and placed it on the table to show them my pretty token of love for myself. I was buzzing with pride. Truth was glaring in front of them or to put it in better words it was ‘glittering’. The time has passed and things in my life have taken a big leap. Yet the ring is still stuck with me, on my finger. Like a reminder. I have had my own share of woes in relationship, career and to top it all, the internal conflicts that I spent sleepless nights on, but this ring has stuck with me and faced all with me. It not only made me feel independent and secure but also nudged me to become a strong individual from within. It stuck with me. Like a reminder. Not only about what I have achieved and can achieve. More importantly it is a reminder to love myself and unapologetically keep on doing it. Strangely we all have succumbed to the belief that self-love is a job of the headstrong, obstinate, and the selfish. A woman should not give much care about her happiness and mental peace but should always be on the giving end. This conditioning is costing, our mental and emotional well-being, extortionately. In searching and joining the pieces of everything in the ecosystem, we are increasingly finding it difficult to even acknowledge the serious issue. Finding the piece of our lost self. Our society demands that we take care of our basic needs. Can a women take care of others without even acknowledging her own need of keeping her emotions in check? Don’t we women, have a responsibility towards us in order to maintain the mental sanity? To love us unabashedly and be not at all sorry for it. Like the first downpour that hits the earth and before it surrenders it to the earth, it gives out a strong muddy earthen scent. Though it bathes our nostrils with its lovely aroma, the relationship is unsettling. Once the downpour blends and gives everything of it to the earth, the aroma slowly fades away. Women, like downpour, give their unconditional love to the family they love. With time, their sacrifice don’t count for anything and slowly their own emotions fade away like that aroma of the downpour. Committing themselves to the boundaries that society draws around her. For all the things they do, what do they need in return? They shouldn’t. That’s what we have been told and are conditioned with that mindset. 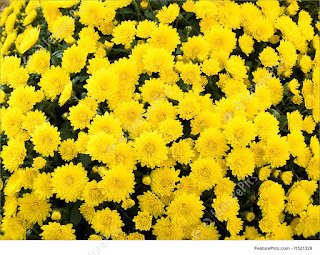 Not to seek anything in return. So be it. We don’t have to seek any validation or put ourselves in the microscope of the other. The ring was not only an accessory on my finger, adding an ornamental value but it had a deep-seated meaning attached to it. It spoke volumes. Don’t seek validation. You are the true judge of your actions. You deserve better. Don’t be with someone who tells you otherwise. Enjoy what you do. If you don’t, then it is time to introspect and take action. Don’t multitask. Be mindful in each task for mental peace. Don’t be drawn into the world of social media and underestimate what you do for your child. We all are illustrious mothers to our children in our own respect. Stop comparing yourself to others. Socializing is competitive but don’t be harsh on yourself. Bring on the positivity by engaging with people who radiate positive attitude towards everything in life. Let go of toxic people. Discover your passion and make others discover theirs. And more importantly, Love everyone around you but love yourself a little more. Unapologetically! Aibleen: Little girl, who is teaching you these things? This is the conversation that one of the protagonists has with the little girl she takes care of. Aibee thinks, “What person out there don’t remember their first grade teacher?” Totally agree! Like Aibleen, my jaw tightens and fists get clenched. The Help is a gripping tale of what it was like to be a colored maid during the civil rights movement of 1960s. It talks about color discrimination and the heinous aspects attached with it, through the lives of housemaids in racially conflicted area – Jackson in Mississipi. “Don’t judge by the color, love all the people”, is what this book determines to tell through the three voices. These bold voices take turn in filling the pages all along. Aibleen - with a balanced mind, Minny – the sassier of the three and Skeeter – though a white, pledge to make life easier for the colored and do not turn back to the prevailing situation and all keeping her life at stake. Skeeter is the example of “The pen is mightier than the sword” as she gets down to that weapon to change the situation around her. No spoilers here. These women are strong minded in their own ways. Together they bring in devastating sadness, tickling humour and ultimately a shining hope. How this discrimination exploited the lives of harmless people, ruining their households and forever instilling fear in their minds, glares bright and make our heart bleed. Stockett beautifully weaves the tale showing us not only the ugly truth that existed in that society but also appreciating the brighter sunshine that prevailed in some white households. After I finished I almost ended up whispering “You is kind, You is Smart, and You is important” to my daughter. Coming to the conversation in the beginning of the post, color discrimination is the last thing you want to hear at the age when your mind along with the body is developing. These minds, now innocent, will turn into an adult with the same thought process, building a narrative which they hear or been used to. Children have a raw emotion and that should not be spoiled with a negative narrative. Though we have come a long way and certainly our minds have broadened, there exists remnant of this ugly truth in few sections of our society. There is a dire need to erase such beliefs from our children’s mind and I am very happy to know that the authors are working on it. I recently purchased a book which talks about the concept of embracing the self, irrespective of difference in the shade of our skin. ‘Brown like Dosas, Samosas and Sticky chikki’ by Rebecca Manari tells an illustrious tale through a little girl who loves her own skin color even though the Antagonist conjures different tricks. As parents, we want to teach our children to love themselves and their bodies just as they are. This book will stand by that for sure! The recent trip to lingerie shop gave me a much needed insight towards life. Yes you heard it right. Lingerie shop! I have always had been in search of good bras which could give me a correct fit and comfort. And I found it really hard to get one. It was like discovering oneself or to an answer to much sought after question “Does god exists?” The argument is still on. So is the search for truth. The truth here being “Is there any correct fit for my cleavage? Can they ever feel home? I will tell you my encounter with the varied set of bras. Some act like they follow strict guidelines but the minute I get busy hanging out with my schedule, they let my cleavage leap out providing it a freedom. Putting their hashtag ‘breakfree’. Some don’t have strong support system and putting the straps at place becomes another routine work like keeping the tucked hair at place or like the parents of brattish children. They don’t listen to you yet you yell at them. And some gives you that level of comfort where you yearn for freedom from them more than them looking out for one. They are the ones who keep my cleavage very close to my heart. Yes, Literally! Nowadays, variety in the bra fraternity is similar to the poor alphabet A which stands for so many things. A stands for Artist, Ambedkar, Amritsar, Arjun from Mahabharat and so on. Let me tell you my daughter’s first words book’s saga. Introducing Alligator to a 2 year old toddler, can anyone beat that? A which stood elated with the position as first alphabet is now shedding tears and is feeling helpless. What happened to that fruit which kindled passion between Adam and Eve? What happened to that fruit which has a beautiful red skin all over it with a juicy interior inside? What happened to the humble fruit which enjoyed the status as label for the letter A and played in the innocent mouths of toddlers. That making it sweetest in the category of fruits. A can be nothing but Apple. There is no replacement for Apple. They are entwined with each other for eternity. A and Apple are the couple who enjoy marital bliss forever. Likewise I am in search for that ‘A’ for my Apple in the middle of thousands of options available in bra domain. The one which will keep mine stay in equilibrium and be blissfully married to my cleavage. Coming face to face with the level of comfort teaches you many things. To name few, it helps you reflect on your struggles which you faced, before you discovered the comfort, giving your life a meaning or a bigger purpose. The comfort that I yearned and the thirst for that comfort was quenched with the right bra. In other words, nobody wants to be stuck in a relationship that is not making them happy, be it a bra or our personal relationship with people or anything in this universe. Comfort, for many, gets translated into luxury. This is a word which is misconstrued for ages and have taken a form which is completely different from its self. According to yours truly, comfort has two levels which is basic and luxurious. My tryst with the right bra gets a place in basic comfort box. So what are we doing to achieve the level of basic comfort? Why do we put aside the goal in achieving that and toil to stay in the struggle zone forever. It is our foolishness to stay inert at many times and not aim for the comfortable zone. We may remain calm but our hearts will never be at peace. The struggle sometimes captivates us and after a point of time we forget that we ever tried to achieve the comfort. Why keep on sulking if heaven is at the end of the tunnel? Its you who have to pass through sticky and sickly green snatches in the recess of the tunnel and reach out to the light at the end of it. So go on, step into the right shoes and walk to the path of comfort. Comfort is for one who aims to achieve it. I can understand that every person has a different definition of basic comfort and I am not denying that. But having known what would satisfy your need and pacify your wretched nerves, it is time we make that decision to smoothen the wrinkles on our path and be at peace with achieved comfort. And I am sure every person with their focused effort, can make their A meet the Apple, regardless of the size of the struggle. Like I did mine. Pun intended. Maths has always been a hot topic in my household. South-Indian, you see. It is an indispensable part of our life right from the beginning. If Swaraj is the birth-right that Lokmanya Tilak was so fond of, Maths is the birth right of every South-Indian family. If you cannot score centum in Maths means there is some serious mistake in your genetics. Hence, the fact that you need to be a pro in Maths glared so bright that it blinded our vision. If you wanted to move ahead without faltering, you had no choice but to ace the subject. There is a saying ‘we can hate it but cannot ignore it’. I can see you nodding at this and that is what exactly Maths is all about. The subject is everywhere and you cannot ignore. Right from our accounts, daily grocery shopping, maintaining bills and so many other sundry things, it highlights its glorious visage left, right and center. I can still hear my mother scream,” Does your one cup rice have 3 cups of water?”, when I was shutting the lid of my pressure cooker. I shuddered with fear. “Oh heavens, Maths cannot stop interfering in my life. It has entered in my kitchen too”, I went on sotto voce. When did Mathematics take birth? What was the genesis of it? How did it spread across so many civilizations and what was the contribution of each civilization to the rise in the knowledge of this subject? How many of us have tried to find out the answers? 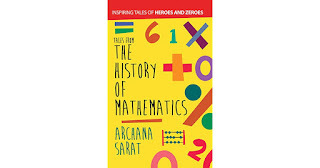 Curiosity brought me to Archana Sarat’s “The History of Mathematics” which covers variety of aspects that one wants to know about its origin. ‘The History of Mathematics’ comprises of 26 tales that marks the origin of parts of Mathematics. The author has skillfully crafted the tale surrounding the history and facts through proper research. The book undoubtedly shows that the subject is very close to author’s heart. I liked the story of ‘Tally Marks’ very much. I have often wondered why this horizontal line is drawn across the 4 vertical lines. Tally marks help save time and east out the process of counting. The story narrows the minutest detail of its origin and how the fifth line cuts through making it look like a barred gate. That’s a brilliant way to put it and teach the children without getting into the point of confusion. I felt the story ‘Much ado about nothing’ found it quite interesting. It gives an idea about how civilizations were open minded about sharing and accepting the new knowledge that they came across. There was a great amount of sharing new ideas between civilizations like Indus, Mesopotamia, China and India in terms of Mathematics to broaden their horizons and make the life easier than it was. The story that I felt little bit exaggerated is Akkad feels cold. As compared to the other stories which flow very naturally, this one offers more fictional air. Nevertheless, it tickles our funny bones by the way the tale is told. Music and Mathematics go together. Every harmony that string produces is a work of mathematics and the above lines expressed by one of the finest mathematicians vouch for that. ‘The History of Mathematics’ will make you come to it again and again and take in the sweet essence of it. This book is not only for adults but it can also be read and understood by children. It can make an excellent book-club selection as it has the ability to draw deep discussions, bring on more ideas, assimilate them and even regale the tales within. It will also serve as a wonderful collection for teachers to keep in their class library. You do not need to be a Mathematical genius or a subject matter expert to read this book, as Archana says “you are already a Mathematician”. Having read author’s previous book ‘Birds of Prey’, which was completely a different genre based on psychological thriller, I picked up this book the minute I set my eyes on it. I love Archana’s way of storytelling as she completely brings life-like images of a particular scene to the reader’s eyes. The story revolves around many civilizations which contributed significantly in expanding the breadth of Mathematics. Our very own Indian civilization has been a pioneer in many mathematical concepts and helped Arabs and the western countries to adapt those concepts. My chest swells with pride having known that so many Mathematicians and Astronomers originated from India but at the same time I feel bad knowing some of them leaned on to the religious beliefs and fabricated the concepts keeping in mind the interests of society. 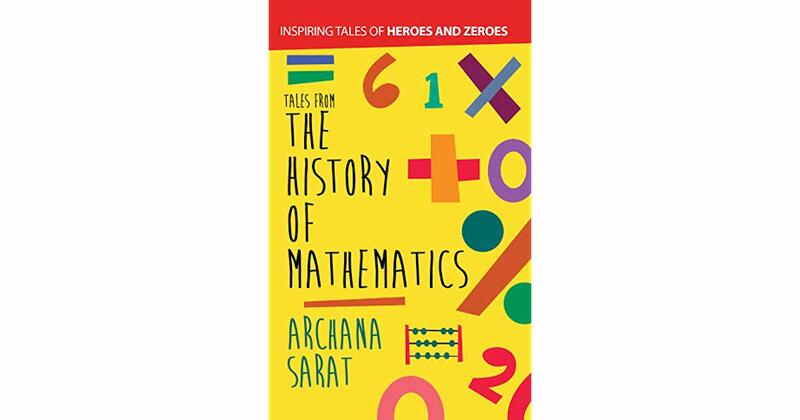 If you love Mathematics and want to know how its concepts came into existence, with brilliant stories giving a background of each concept, rush to a nearest store and pick Archana Sarat’s ‘The History of Mathematics’. Great content with beautiful expression of thoughts will surely delight you.